Instant Short Term Loans From 1 to 12 months. When it comes to borrowing money, it can prove difficult to work out exactly which loan is right for you. There are many different types, with short term loans being just one of them. If you’re thinking of taking out this particular financial product but you’re not totally clued up on the details, you’ve come to the right place. From the basics, to how much you can borrow, to the pros and cons, we’ve got the information you need to help you decide if a short term loan is the best choice for you. A short term loan is a quick, affordable alternative to a traditional longer term loan. As the name suggests, this type of loan is repaid over a short period of time. This term can vary between providers and can be anything from 30 days up to a whole year or sometimes longer. At Swift Money, you can take out a short term loan and borrow up to as much as £1,000, with the minimum amount being £100. You will also need to choose a time period over which you will pay the loan back. In regards to our short term loans, you can select from one month up to 12 months. If you are over the age of 18, a UK resident with a steady income and a bank account, you should qualify to take out a short term loan with us. One of the main advantages is that short term loan applications can be approved extremely quickly. 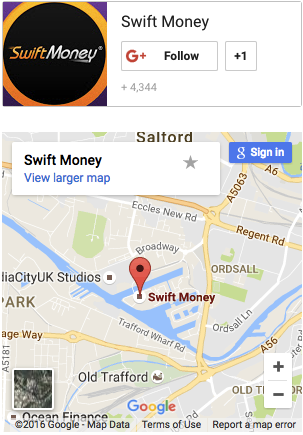 At Swift Money, you can expect your loan to be approved within as little as 10 minutes with the funds being deposited into your bank account soon after. This is a huge advantage if you require the cash quickly, especially if you’re dealing with an emergency financial situation like fixing your car or settling an urgent bill. Short term loans are an option if you have bad credit too. These products are often available to those who may struggle to get accepted for a traditional bank loan. There tends to be little to zero paperwork involved and you are usually required to provide a small amount of information about your credit history. This eliminates unnecessary hassle, providing you with you a fast, fuss-free way to get the money you need, when you need it. So, even if you have bad credit, a short term loan could still be an option for you. A major disadvantage of instant short term loans is the interest rates. Compared to other types of loans, interest rates for short term financing tend to be a lot higher, meaning that you could end up paying back significantly more than you borrowed in the first instance. Since actually getting approved for a short term loan can be fairly easy and quick, you could also risk falling into the habit of applying again and again. Although it’s a convenient and efficient way to get the money you need, borrowing regularly could mean that, if you’re not careful, you could get yourself into money troubles. Short term vs long term loans: what is the difference? There are a number of ways in which a short term loan is different to a long term loan, the biggest one being the period of time you have to pay back the money. Long term loans also differ in regards to the amount you can borrow, the interest rates involved and how quickly you can receive your funds. Whether you’re looking for a short term loan for bad credit or you just need a quick cash fix in an emergency, it’s important to think carefully before you borrow money from a provider. Failure to repay your loan could result in serious financial problems.